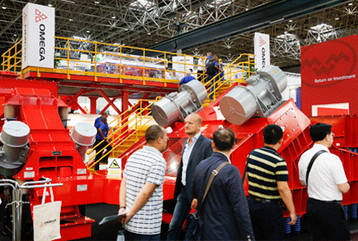 GIFA is the most important trade fair for foundry technology in the world. After five days Messe Düsseldorf delivered a very positive summary of “The Bright World of Metals” which took place in June 2015. The metal fair registered good marks on the exhibitors’ and visitors’ side. In particular the internationality again increased distinctly and now amounts to 56% of visitors and 51% of exhibitors. With 78,000 visitors from more than 120 countries GIFA, METEC, THERMPROCESS and NEWCAST 2015 in Düsseldorf were on the level of the previous events. Especially in China and the Asian region there is high demand for European metallurgy and foundry technology corresponding to the current requirements of the industry regarding saving of energy and resources. Two third of the visitors are directly involved in investment decisions in the top and middle management of their companies. On top of the international visitor ranking there are experts from India, Italy, Turkey, France, and China. Our executive search consultants of the industrial practice joined the event to visit our clients and learn more about new trends in the metal industry.